We all know that home management routines can help us. They make things more automatic, they eliminate the need to think through every next step in our days, and they help us know that we’re not forgetting something. Having simple home management steps we can stick to take a lot of the drudgery of taking care of our homes. Morning and evening routines in our house are life-savers. They help our children feel more secure, and they’ve eliminated a lot of the struggles we’ve had with getting ready for bed and getting ready for school. My own morning and evening routines have helped me get more done, and feel less stressed about the beginnings and endings of our days. I’ve tried them, but they just haven’t worked for our family. 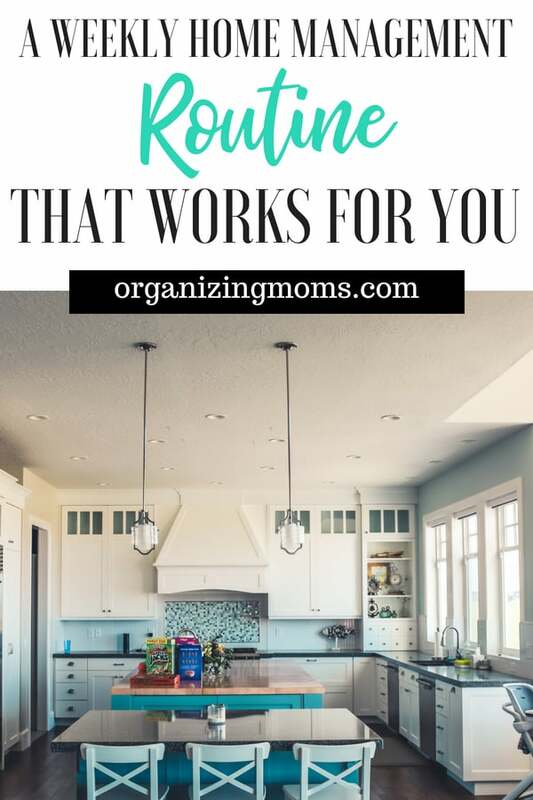 We have unpredictable schedules, changing activities, and all kinds of other distractions that have just made planning out a weekly routine hard! But, lately, I’ve been working on a new type of weekly routine, and it’s been working for me way better than I ever anticipated. Why I Needed a Weekly Home Management Plan? Simply put, I am forgetful. But anyway, when it comes to home management stuff, I’m always putting out fires. I’ve tried cleaning routines, but I just didn’t like them, so I didn’t stick with them. I’d put things off, and then eventually forget about them. Until I noticed something so gross that I had to do some cleaning. 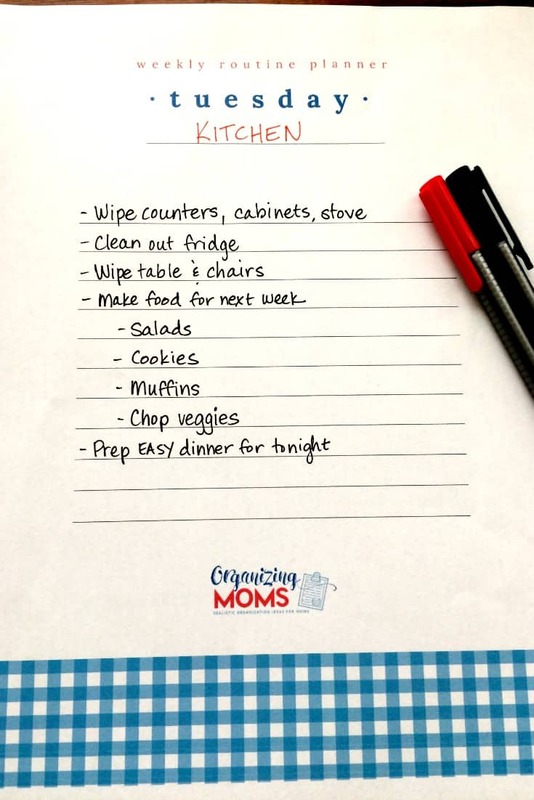 What Is a Weekly Home Management Routine? Weekly home management routines aren’t a new thing. We’ve probably all read about them before. They’ve been around for centuries – they even talk about them in the Little House on the Prairie books! 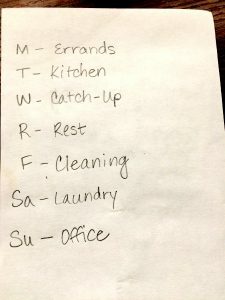 Basically, what you do with a home management routine is assign different days to different types of home-related tasks. You might do laundry on Mondays, baking on Tuesdays, errands on Wednesdays, etc. Why Is This Weekly Home Management Routine Working? I needed an attitude adjustment. Specifically about home management stuff. 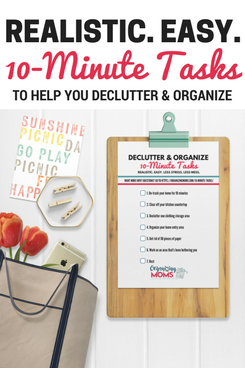 I LOVE organizing and decluttering, but cleaning just isn’t my ball of wax. Laundry and errands aren’t my favorite either. When I saw that Stacy from Humorous Homemaking was giving a course about Home Management, I jumped at the chance to take it. I didn’t think the class would work for our family, but I signed up for the course because Stacy cracks me up. I wish she would move to my neighborhood and be my friend! I thought the class would be fun, and maybe I’d learn something (but probably not). 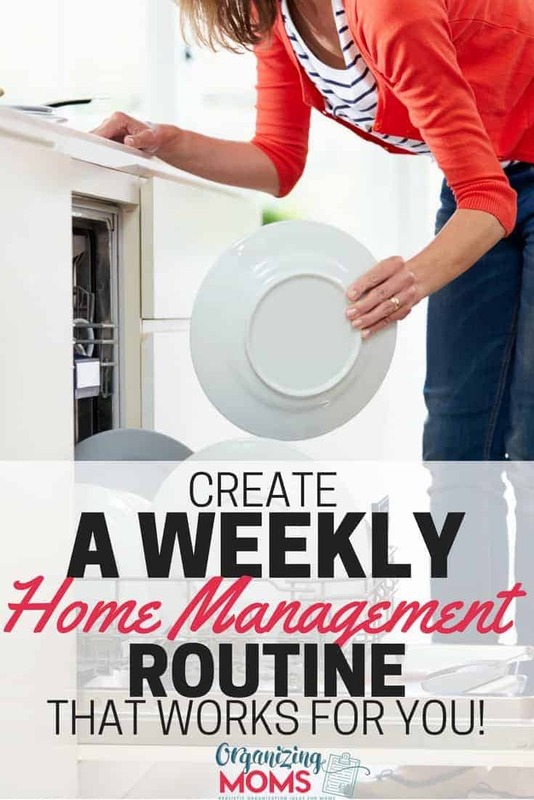 Not only did the Home Management How-To Class totally change my mind about weekly routines, it made me look at different ways I could make the routines work for me, instead of me having to do a lot of work to stick to the routine. In the sweetest, funniest way ever, Stacy adjusted my bad attitude about keeping up with stuff in my house. Like laundry. What’s the Weekly Home Management Routine System like? First of all, you get to customize the routine to fit your life. I can show you my routine, but it’s probably not going to work for you. You’ve got to build something around your obligations, energy levels, and the general rhythm of how things work in your house. In the Home Management How-To course, Stacy gives lots of different ideas and options for creating routines that I never thought of before. And she totally understands that things can get disrupted by poopy diapers or surprise guests! This is how I’m setting up my week. Your’s will be different, and customized for you and your family! Every day has a theme, and you get to decide what each day’s theme will be. You assign tasks to each day, depending on the theme. Then, you try out the routine you designed and course correct as necessary. What’s Really Helping Me Stick to This Routine? The thing that’s helped me really stick to this routine is writing out a good plan. I worked on writing my own plan while I was taking the Home Management How-To Class. As I went through each video module, I wrote out my own ideas, and then added or subtracted based on what we were learning about. Stacy had a lot of ideas for making things easier that I never would have thought of. 2. On each day, write the day’s theme at the top of the page, and then list the tasks you’d like to do on that particular day. 3. After you’re done, put the printables in sheet protectors. Because coffee spills, as Stacy says. 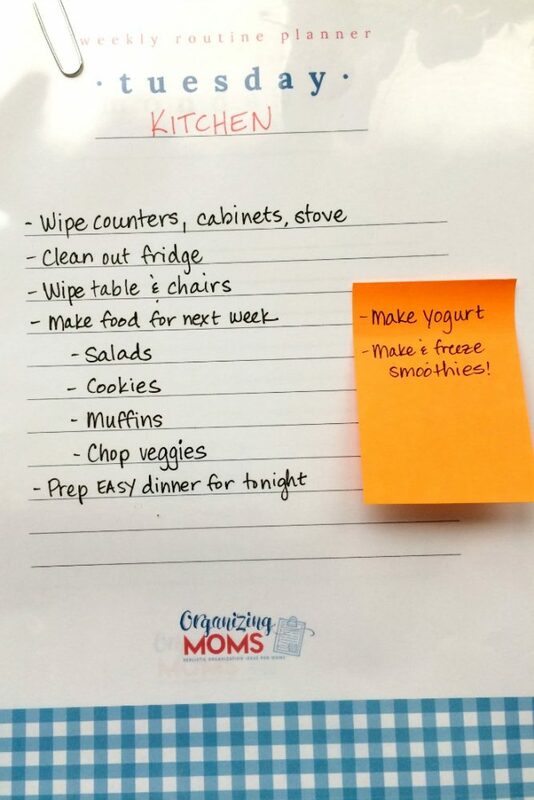 Then, during the week, add sticky notes to your pages as you think of things you want to do. 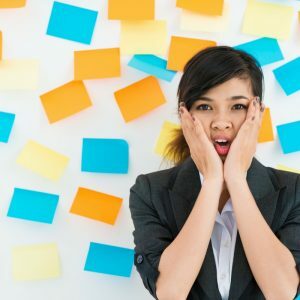 Using sticky notes is key, because you can move them around from day to day if things change. I’m so glad I invested in this course for myself and for my family. Even when I had a running to-do list, I would always worry about forgetting things. With this system, my mind is much more at ease, because I know I have a specific day planned for getting around to all of those things I want to do. Stacy is funny. I knew I would like the course before I even started it. She’s realistic about what’s humanly possible. She homeschools, and she has young kiddos. She’s a busy person, yet she has a good attitude and she gets. stuff. done. I totally admire that! One of my favorite parts of the course was that each video lesson included an extra mini-lesson for moms who work outside the home. Even though I work at home, I really liked watching these extra videos for the added tips and tricks she provided for super busy parents. The course also goes into daily maintenance solutions, which were super helpful. Stacy’s tips about laundry have already made my laundry routine much easier. Want to get help from Stacy? The Home Management How-To course is open now. Click here to learn more about the home management course! Want to remember this? 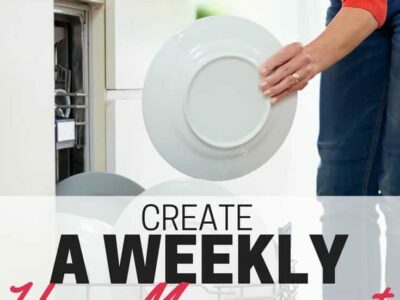 Save A Weekly Home Management Routine that Works for You to your favorite Pinterest board. 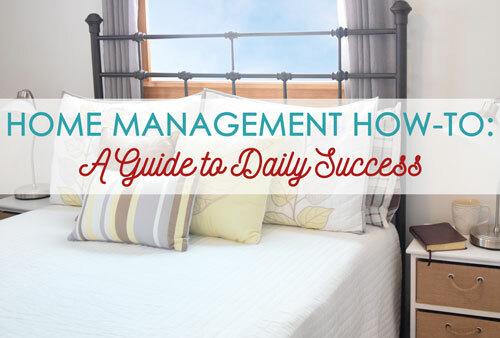 Start building your own weekly home management routine with this free planner. It will help you start to create your own routine, work smarter, and free up your mind! 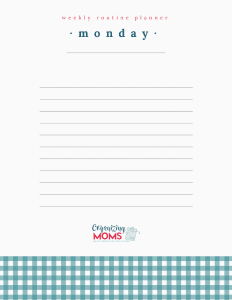 Download the planner for free when you subscribe to the Organizing Moms newsletter, which is full of tips, organizing updates, and realistic solutions. Planner is seven pages long and includes separate sheets for each day of the week. Success! Now check your email to confirm your subscription & download your weekly routine planner. I'm ready to build my routine!